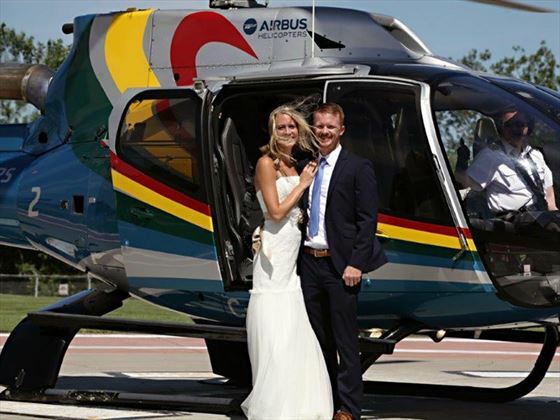 Have you ever dreamed of saying “I do” at 2500 feet over one of the wonders of the world? Dream no more with the ultimate wedding backdrop – Niagara Falls. Imagine seeing the splendor of the Falls from overhead whilst your marriage ceremony ius being performed. It is difficult to picture any outdoor setting more spectacular than Niagara Falls. At the “Chapel in the Sky” you can see the wonder and be apart of the infinite history of the awe inspiring falls. 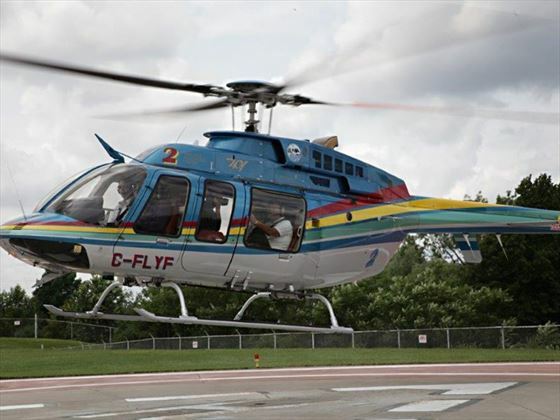 Lifelong memories will be created as you are married directly over the cascading waters of Niagara Falls. It will be a marriage made in heaven. Weddings performed Monday through Friday (depending on availability). 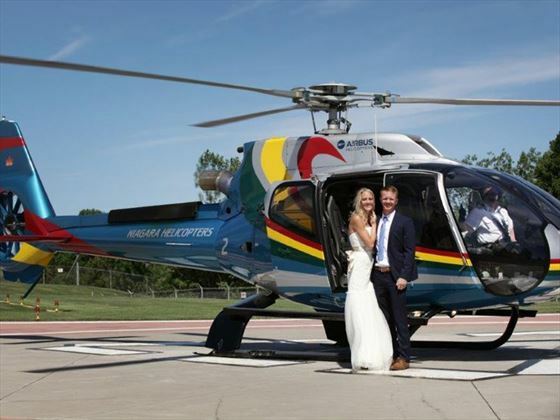 Helicopter flight is strictly for Bride & Groom only. 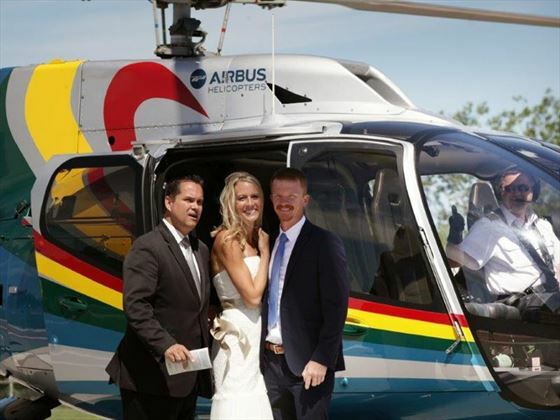 Duration of the tour & wedding in the sky is 12 minutes (including boarding time). After confirmation of booking your wedding date and time, our local wedding coordinators, Maple Leaf Weddings, will be on contact with you by e-mail or telephone to arrange a date and time to meet up with you in Niagara to welcome you, accompany you to the Niagara Falls City Clerks Office in order to collect your marriage licence, visit the options for your outdoor ceremony and discuss any final wedding arrangements.